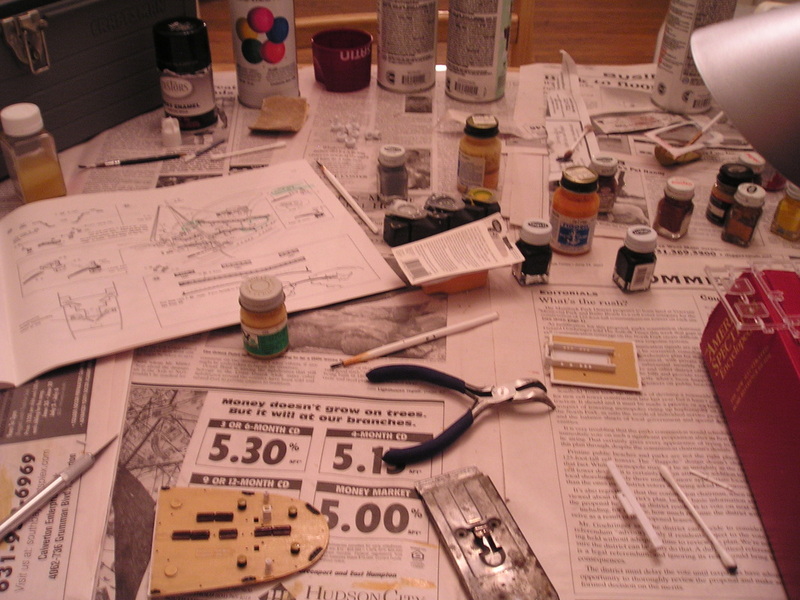 1 : 350 Academy-Minicraft 30"
After a long model-building hiatus, the college-aged half of the RapidNadion team decided to dust off the Academy-Minicraft model that had been gathering dust for years. 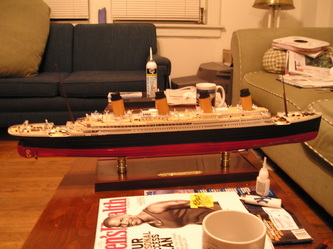 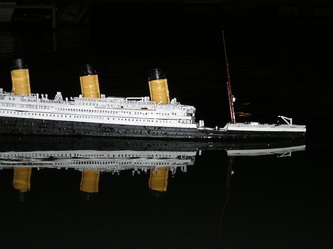 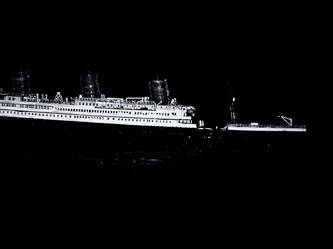 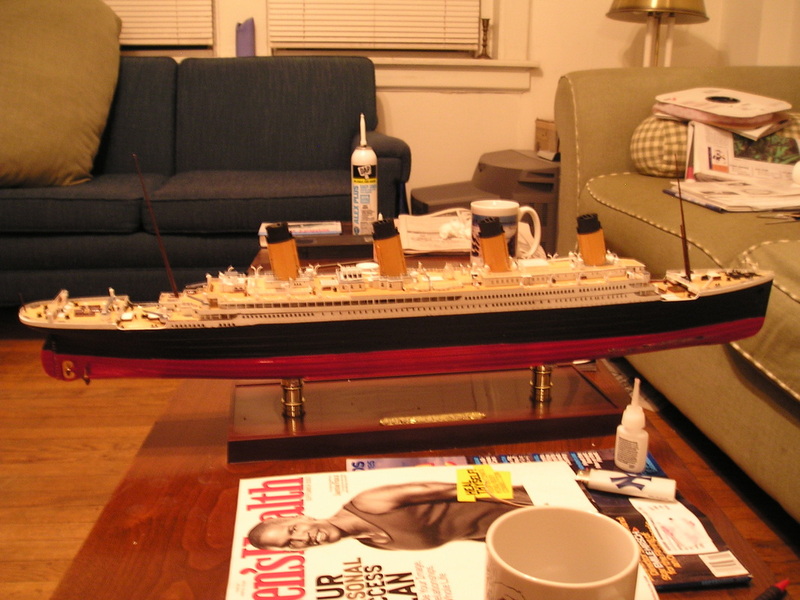 Originally intended to be a static-display Britannic, this model was repainted and re-purposed to become the largest sinking Titanic model in the RapidNadion inventory. 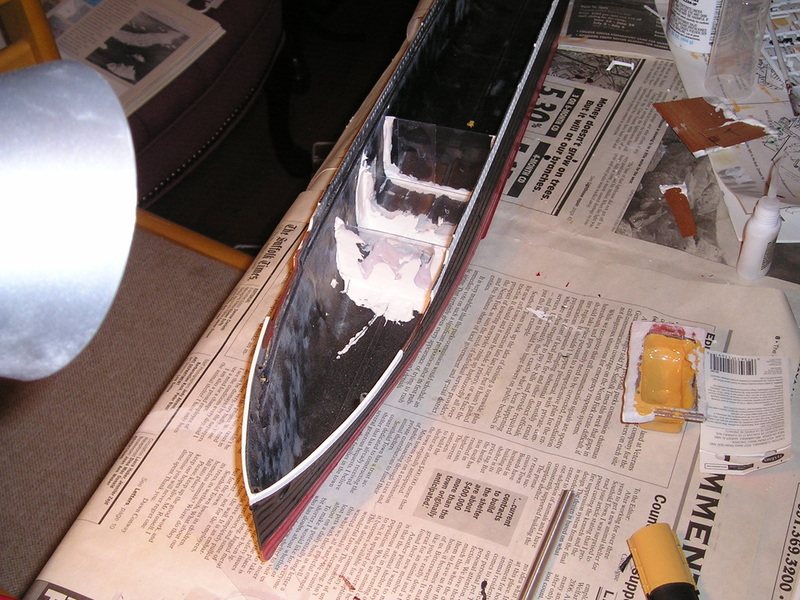 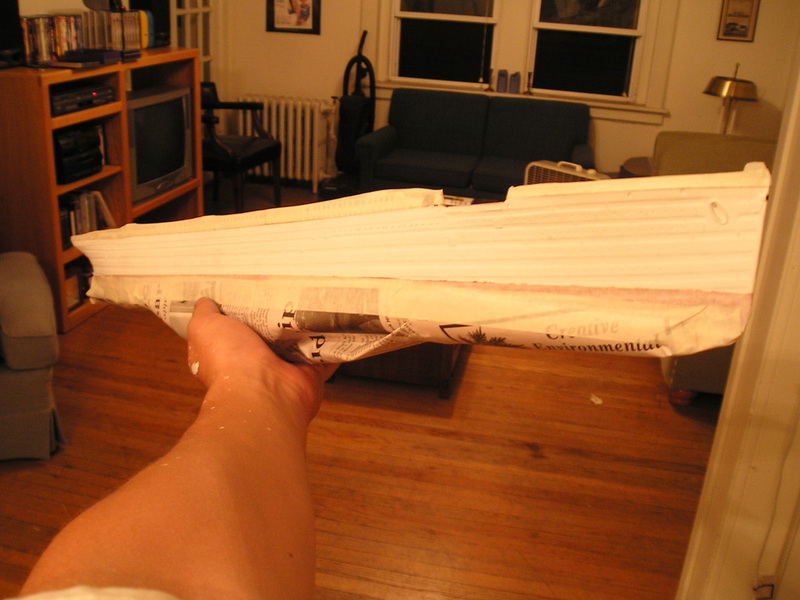 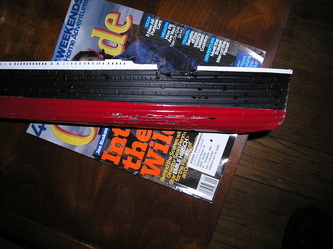 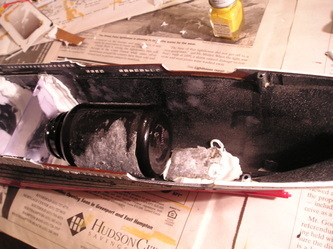 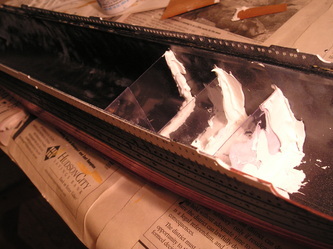 This model's watertight bulkheads number seven and are constructed from retail electronics plastic packaging, sealed in place with waterproof caulk. 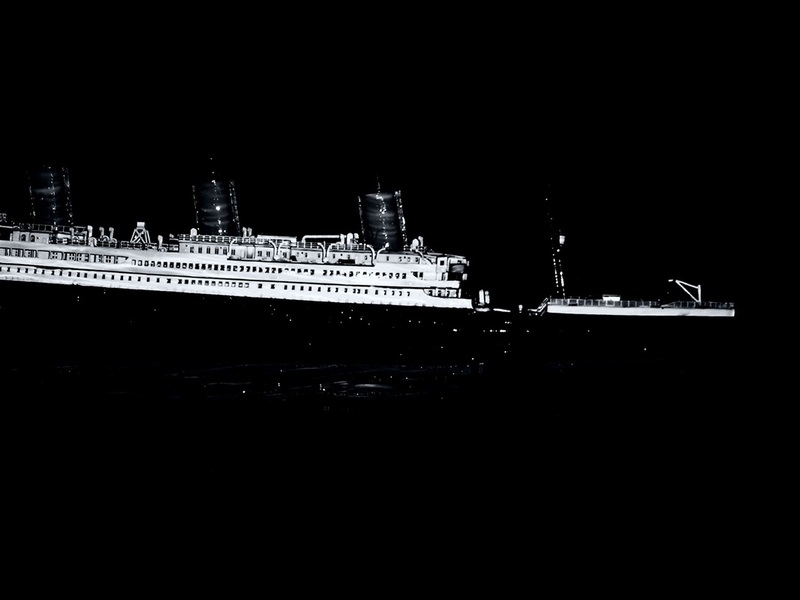 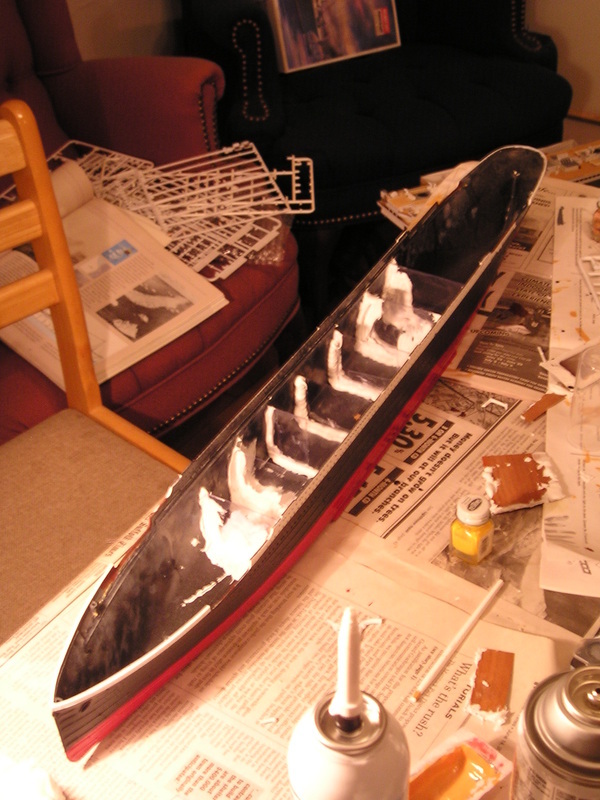 Remembering the lessons of the Revell 18" Titanic's too-fast sinking, special care was taken with this model to seal the stern section as tightly as possible to prevent air escape during the final plunge (thus prolonging the descent). In addition, a special air capsule was installed in the stern to provide even more reserve buoyancy. This took the form of a vitamin bottle with a tiny hole drilled in one end. 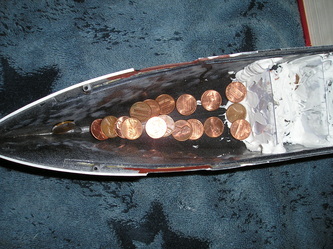 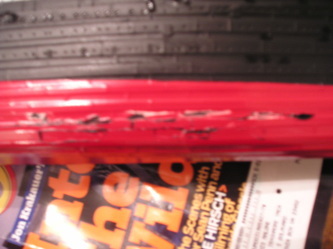 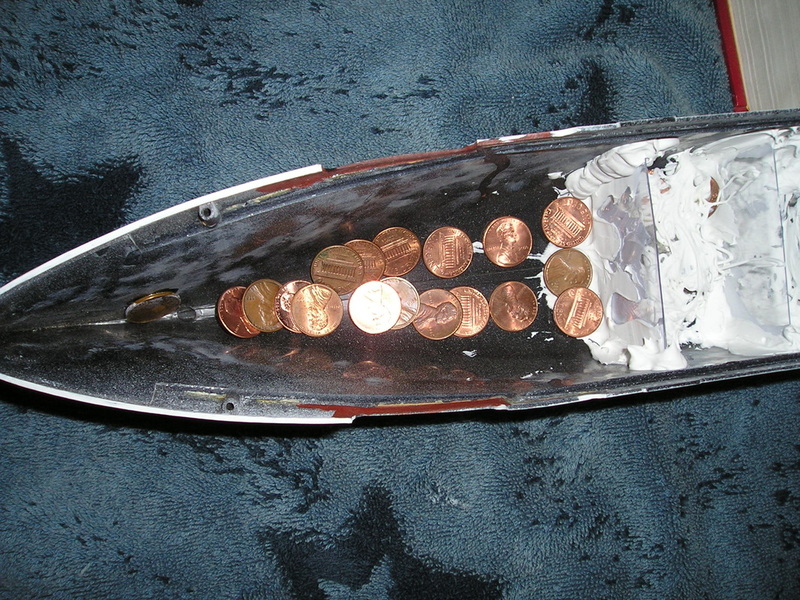 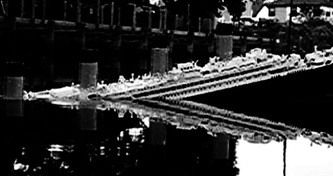 Test ballast for this model was slightly less than a dollar's worth of pennies, which were later removed and replaced with lead fishing sinkers. 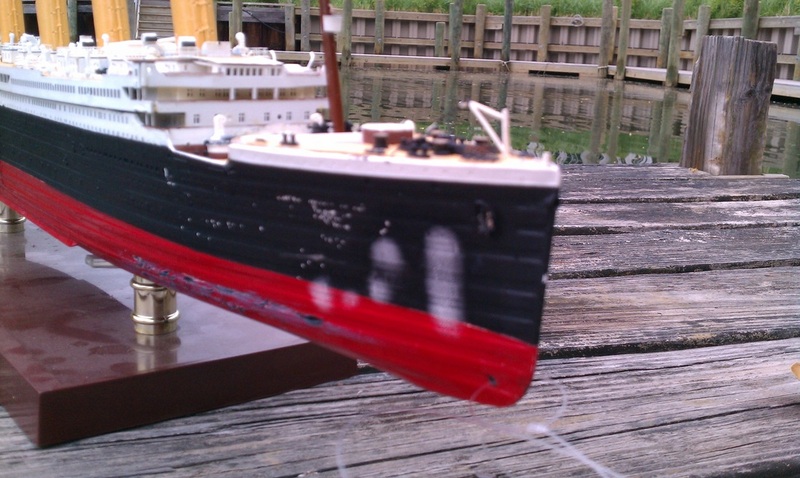 This model was first sunk in Norfolk, VA, under day- and night-time conditions, and immediately proved itself a superior model, with a much longer vertical "hang-time." 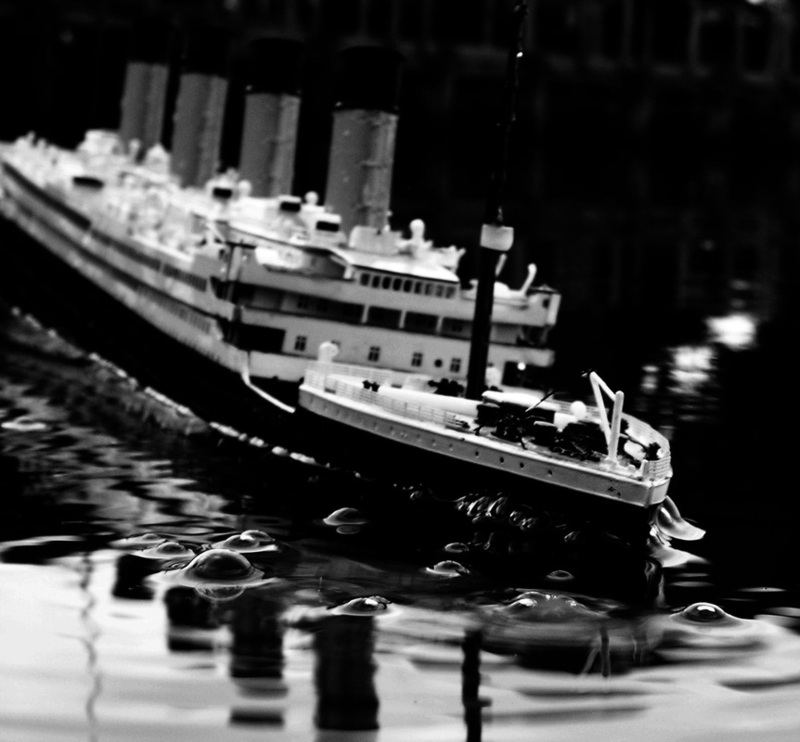 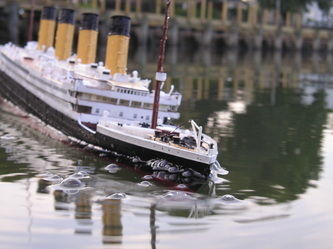 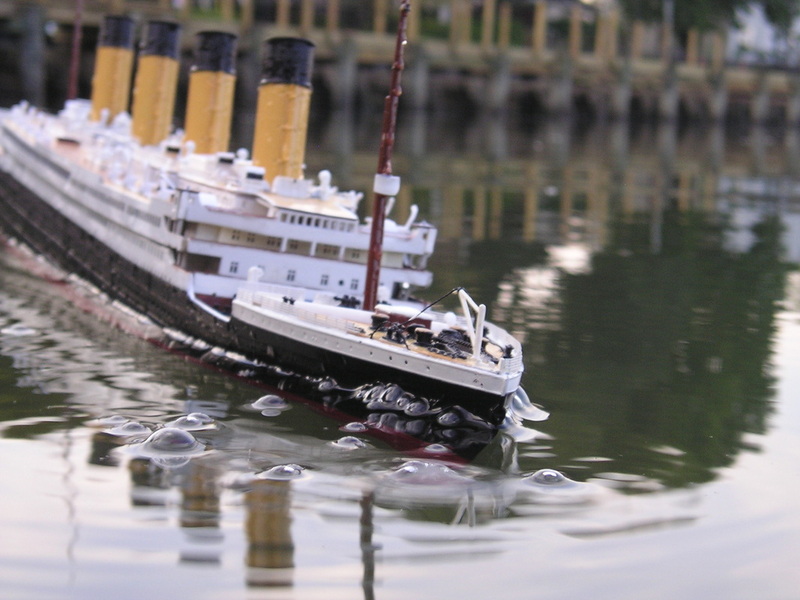 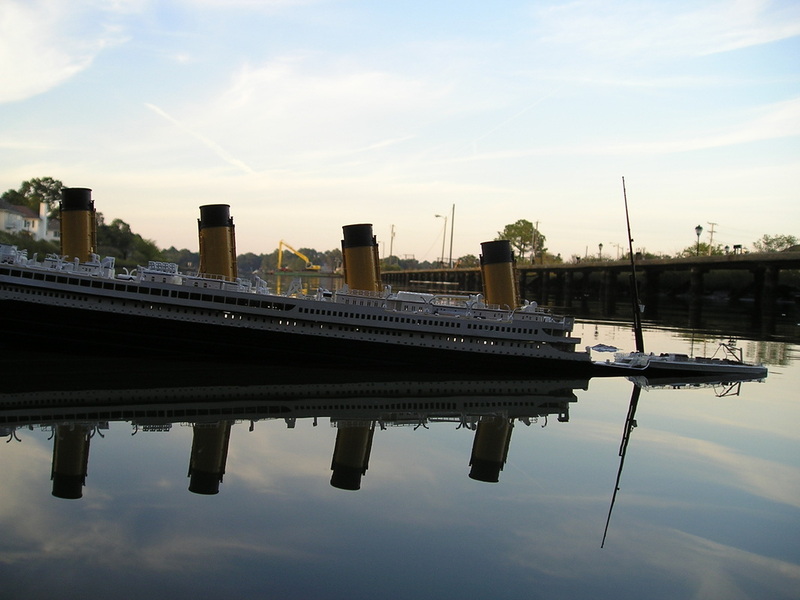 When this model returned to the Northeast in 2008, it was filmed sinking in an ice field in rather ideal conditions by the RapidNadion team, and the new "flagship" video was dubbed "Model Titanic Sinks 2 (Bigger Model, More Angles)." 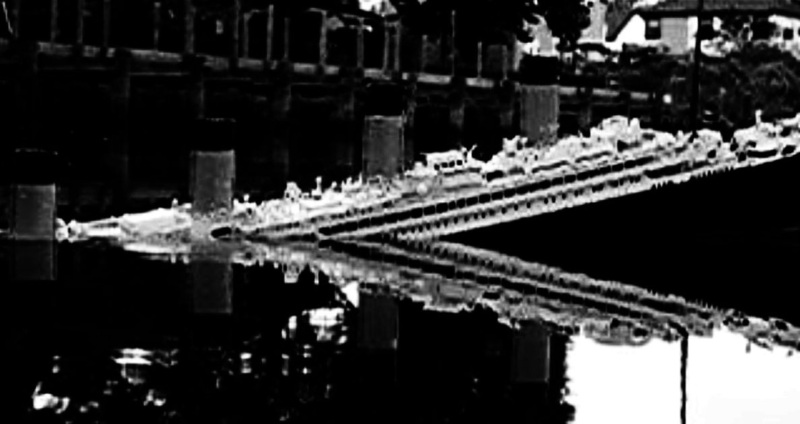 It has since been featured in many RapidNadion videos (including several employing on-board cameras), and continues to be a valuable contributor to the fleet. 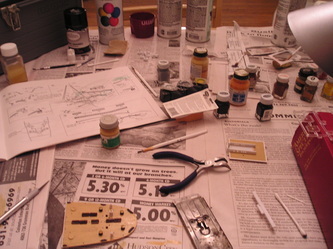 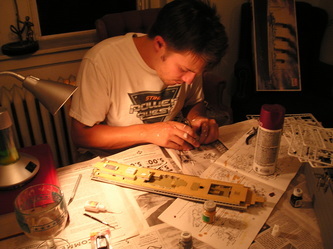 < Previous: 1:570 Revell 18"